Father’s Day is right around the corner. 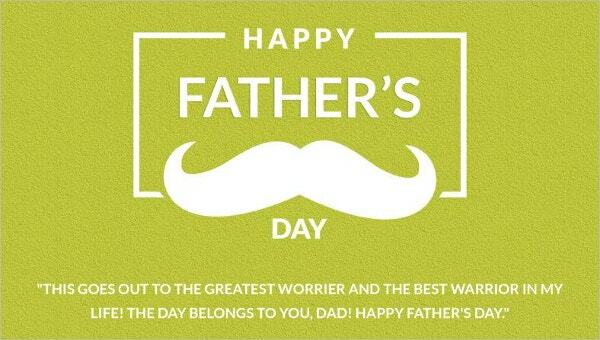 It’s a day celebrating all the fathers and father figures around the world—with cake, presents, and greeting cards. Sure, it may sound quite like a birthday celebration, but instead of celebrating someone’s birth, you are honoring a person for taking on a completely noble—and possibly the toughest—role in your life. If you’re currently at a loss for words and have a hard time expressing your thoughts, we’ve got you covered. 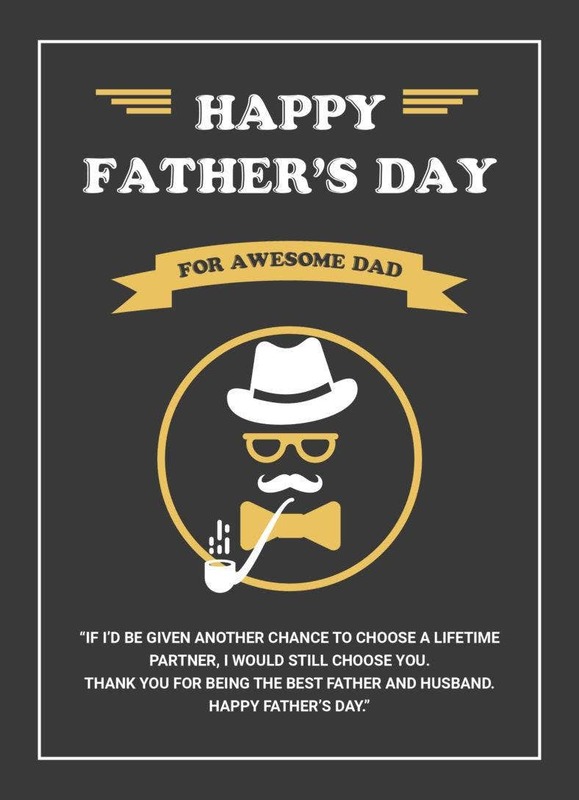 Our thank-you card designs contain some of the wittiest and most heartfelt notes customized for all kinds of fathers out there. Download the design you feel best emulates your own thoughts and emotions, and let your dad know how much you appreciate him. Some of the best greeting card designs are those that involve a little humor and wit every now and then. 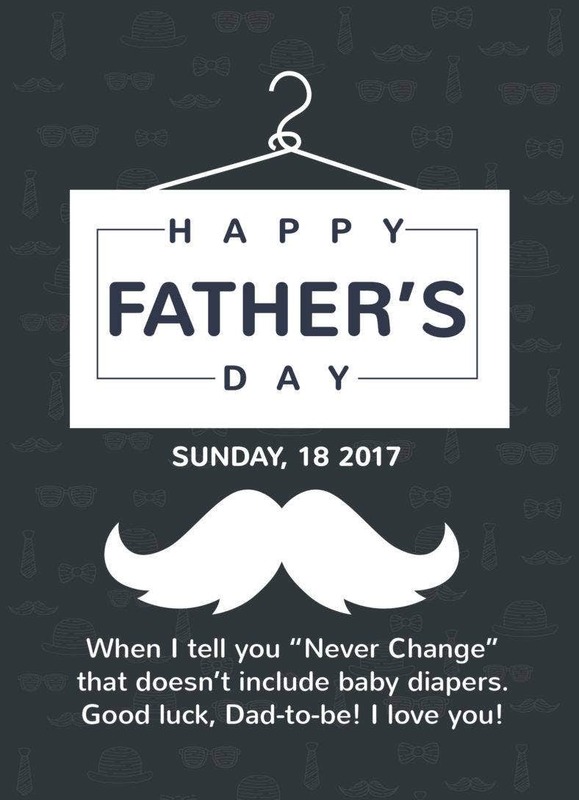 This Funny Father’s Day Message is the perfect antidote to the anxious dads-to-be. Let your partner know you’re both in for an exciting roller-coaster experience by keeping your note and design casual and funny. Being a best friend and parent at the same time is such a rare and challenging skill for fathers; and is such a wonderful experience for children growing up. 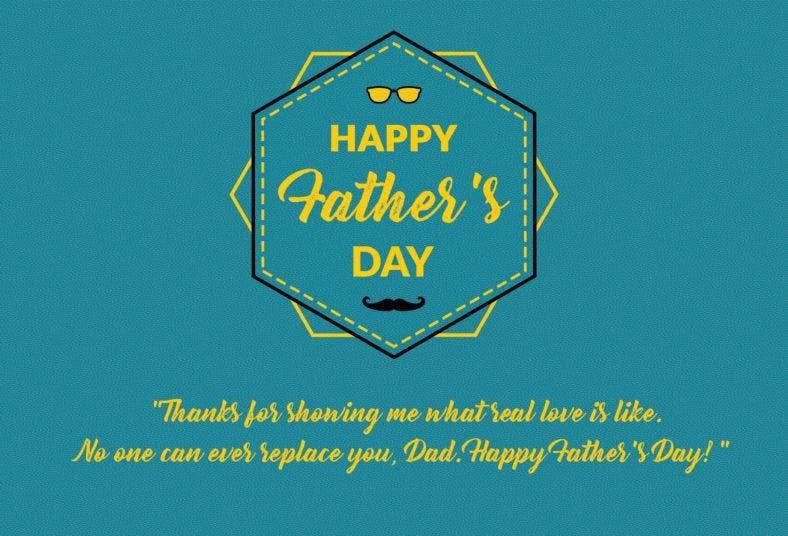 Let your dad know he’s still cool enough to be your best friend and share secrets with using this simple and clean thank-you note. 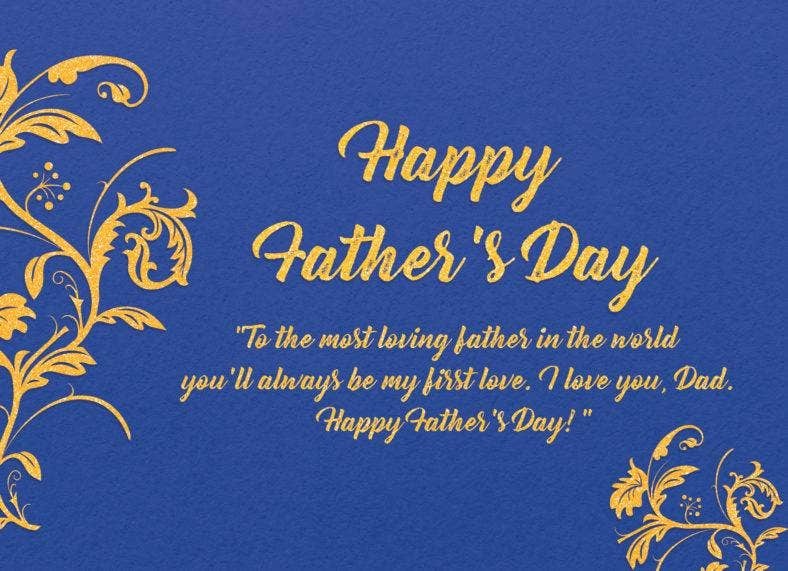 Let this thank-you note express how much you look up to your dad, with its simple iconic designs and a clean script font. 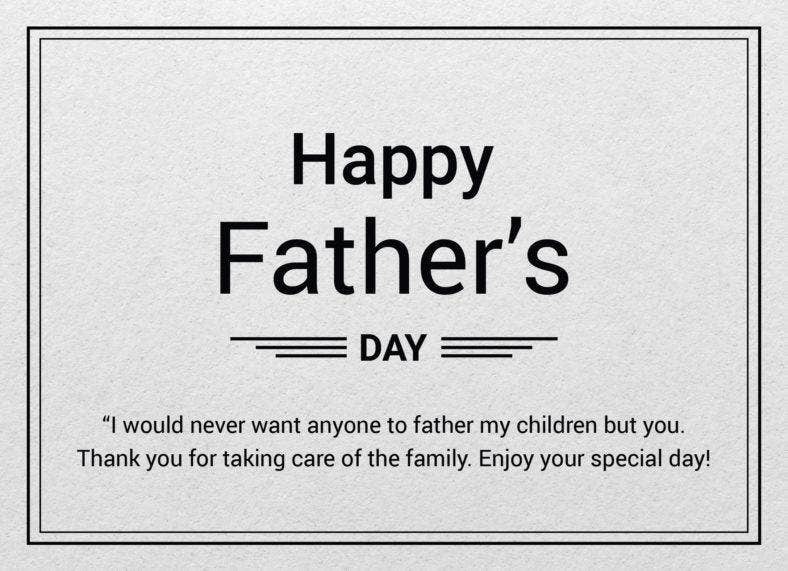 It can be quite difficult to say everything you want to say to your father, but this note really captured it all. No amount of fighting, bickering, and childish walkouts could ever replace you and your dad’s awesome relationship. 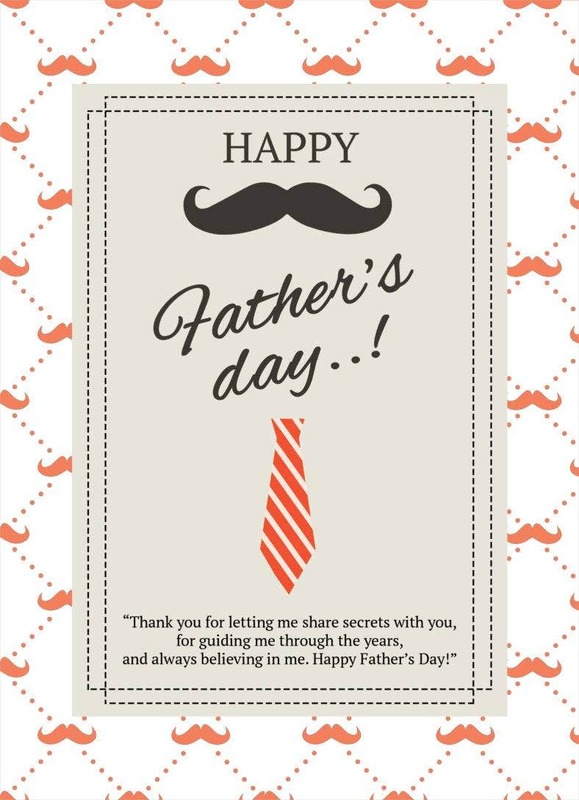 Let him know he will always be your role model with this youthful Father’s Day thank-you note. 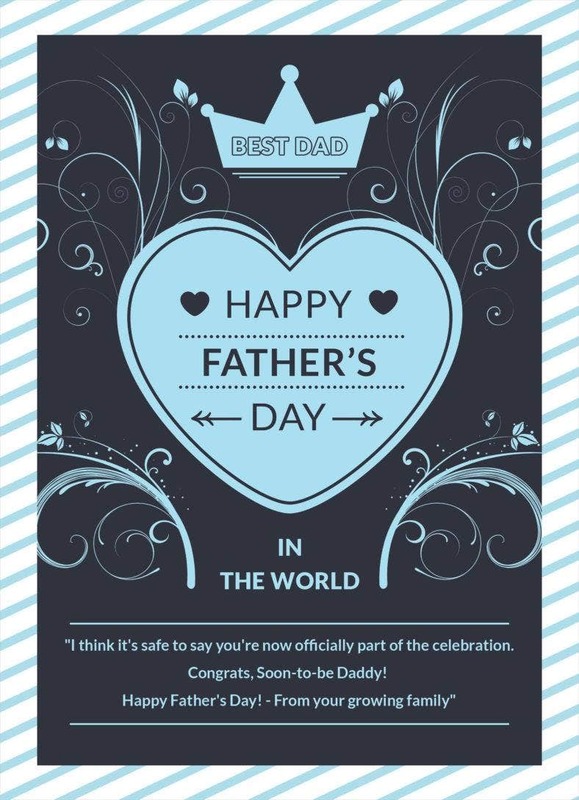 This sample card is designed for all the busy dads and those working abroad to support their families. The design keeps the mood light and happy, and is a good way of letting our father know your relationship is still as strong as ever, no matter the distance. Let your dad know you’re missing him and that you can’t wait to see him again with this handmade thank-you card. 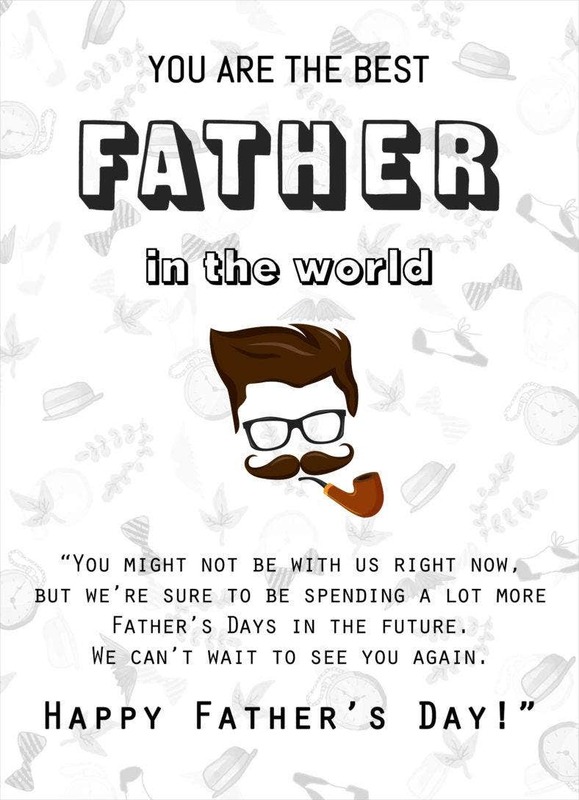 If your dad is currently based in a different location, it’s important to let him know the quality of your love and support hasn’t waned; even though your quality time together is limited. Parents play such a huge role in shaping their kids’ view on love and relationships. 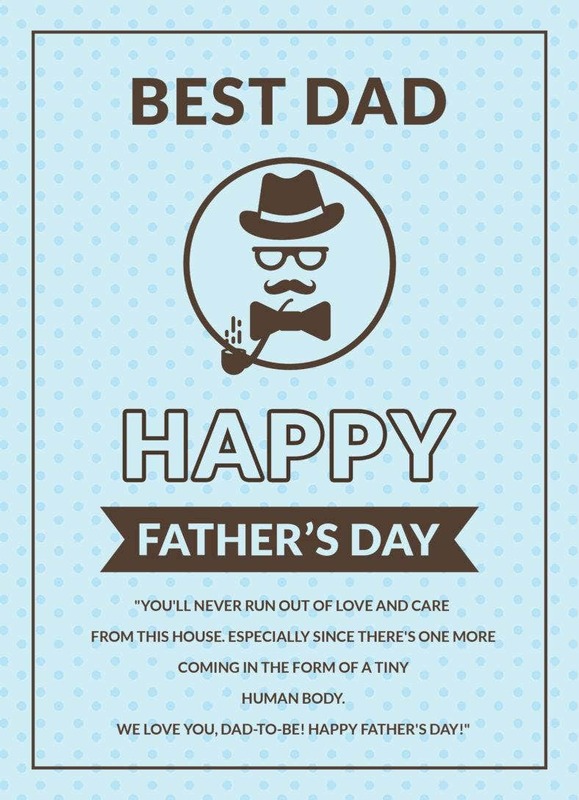 Let your father know how successful he’s been in showing you what real love is like with this minimalist Father’s Day thank-you card design. The kind of unconditional love daughters get from their fathers is often telling of the kind of relationships they will pursue as they get older. If you feel like no one could ever live up to your dad, then you know he’s done a pretty good job. Tell him how much you love and appreciate him with this elegantly designed thank-you note. Being able to stick through a teenager’s rebel phase is definitely worthy of a trophy. But in most cases, a creative greeting card design will do. 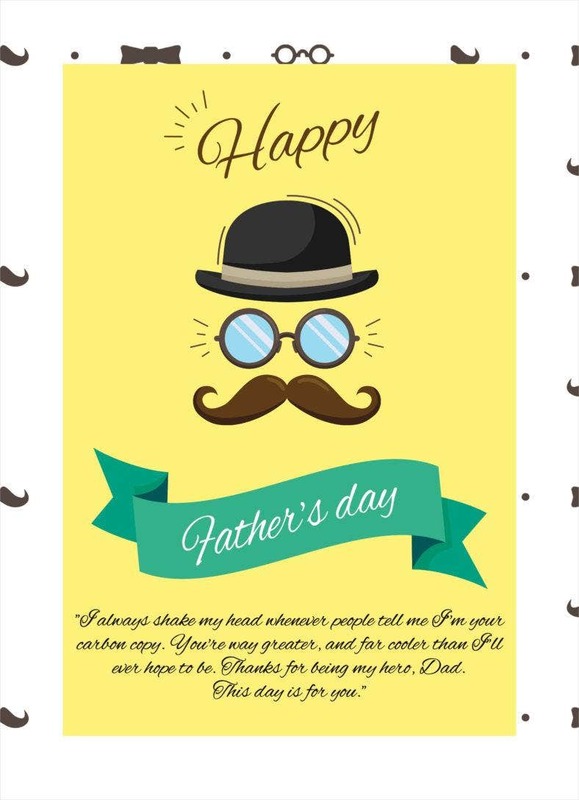 This Father’s Day card is definitely one worth giving with its thoughtful and personalized note and timeless design. 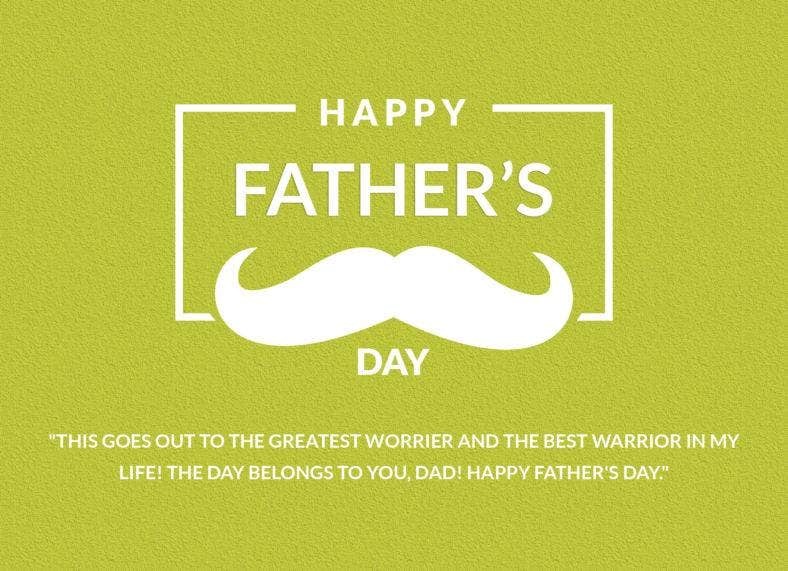 Being a father also requires them to take on two conflicting roles: being the worrier and the warrior at the same time. 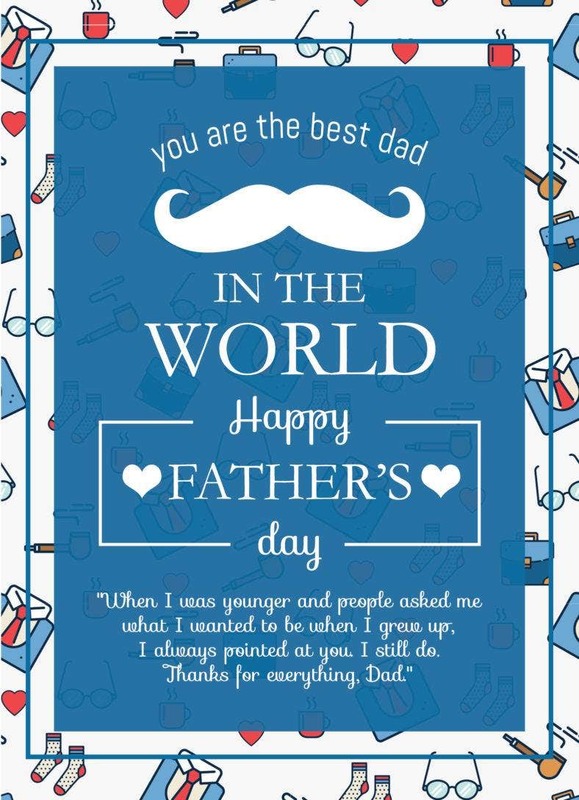 Celebrate the strength of your dad this Father’s Day with this printable thank-you card up for grabs. 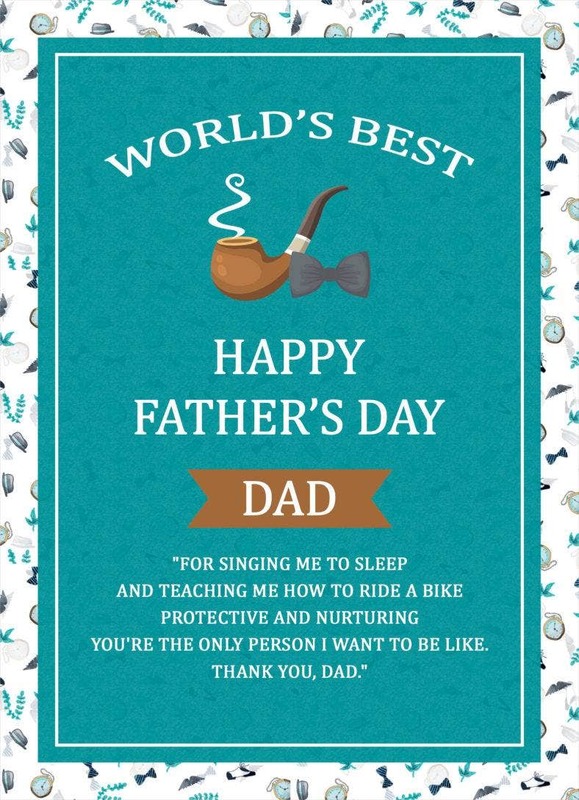 It has a casual design that keeps the atmosphere light, while being very thoughtful and appreciative of your dad. Father’s Day thank-you notes don’t just come from the kids. Wives, girlfriends, or lifetime partners can just as well send their love through beautiful greeting card designs. Thank your partner for making it through parenthood with you with this vintage card design. 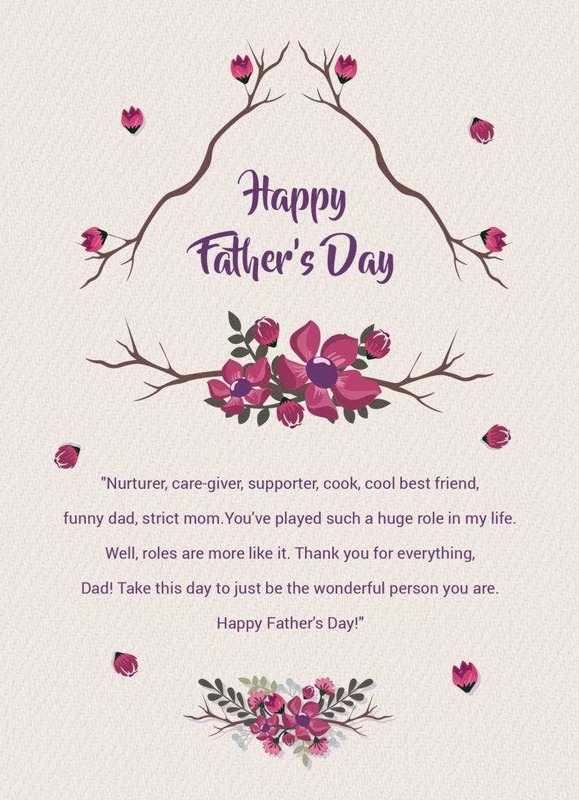 This thank-you note is designed to let fathers know they’re loved and completely irreplaceable by their partners. 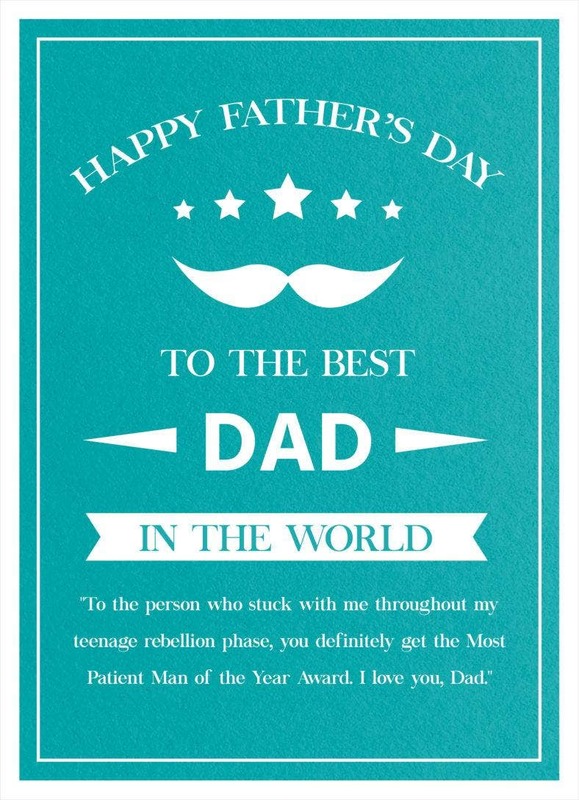 Download this minimalist card design to give to your partner on Father’s Day. Some dads have to take on the role of being the mom as well. This design goes out to the all single dads who’ve had their fair share of sleepless nights for playing so many roles in the house. Let him know he’s the only solid rock you’ll ever need with this floral personalized thank-you card. Fatherhood is a pretty challenging job, to say the least. It is a job that requires all the love, patience, and terrible dad jokes a person could ever muster. It only seems appropriate to have a day just to celebrate these unsung heroes, and one way to do that is through heartfelt thank-you cards. 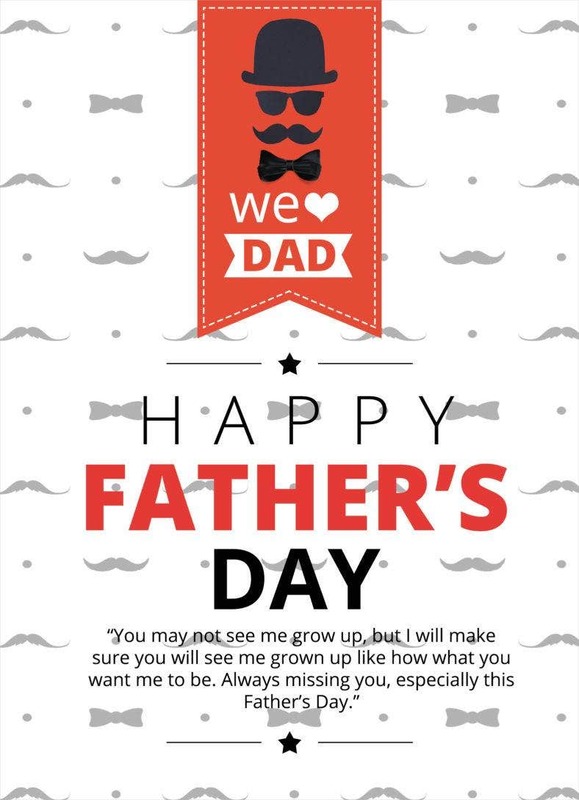 You can download as many greeting cards for free, customize your own, or have a go at our personalized Father’s Day thank-you notes. Never run out of ways to show your dad how much you love and appreciate him. Start downloading!